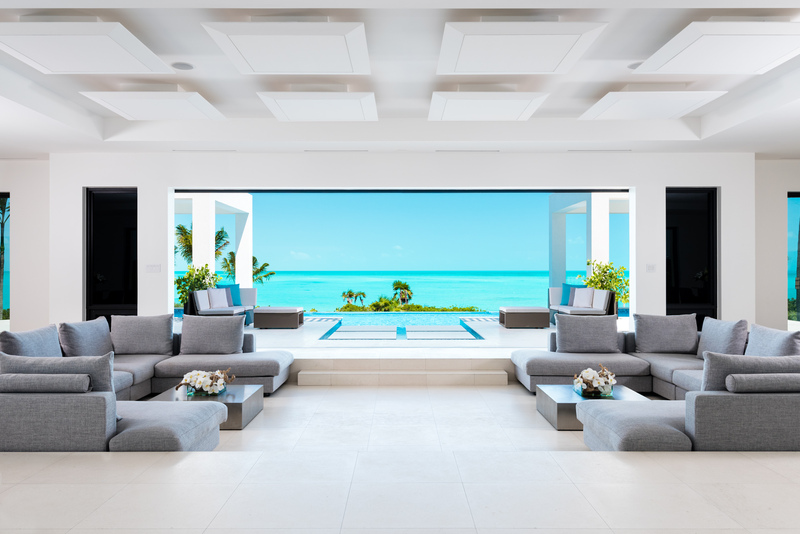 Tucked behind the pristine sand dunes of Long Bay Beach, Triton Luxury Villa has set a new standard for luxury in the Turks & Caicos. 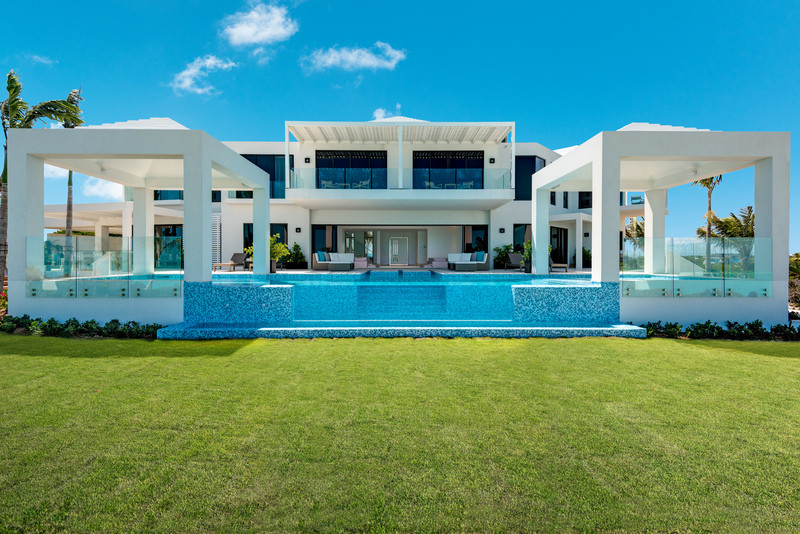 The estate occupies over 2 acres of lush landscape and 10,000sq feet of lavish beachfront living space. 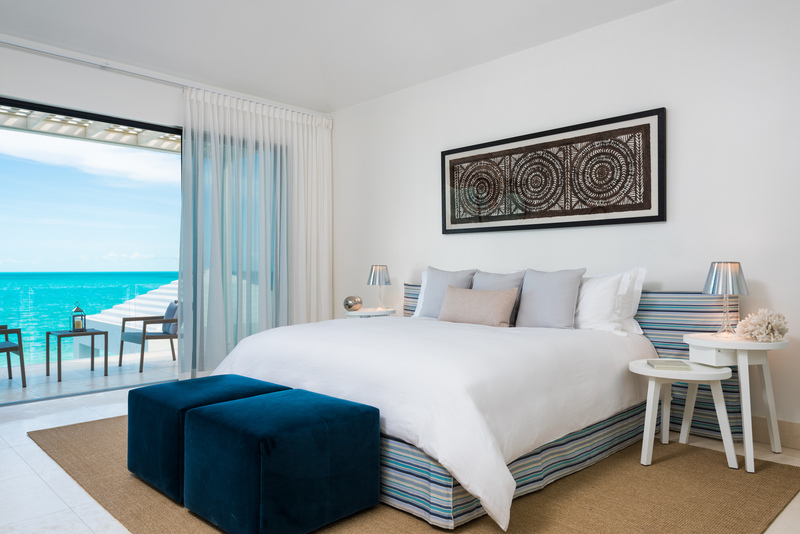 Triton includes 7 bedrooms, an outdoor movie theater with fire pit, hot tub, 2 pools, private tennis and bocce ball courts, villa butler, one of the nicest beach- fronts on Long Bay and endless unobstructed views of theworld famous turquoise waters of the Turks and Caicos Island. 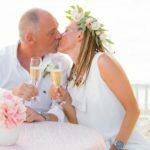 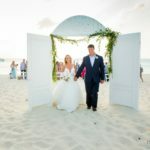 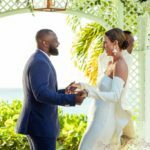 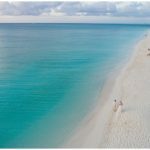 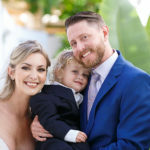 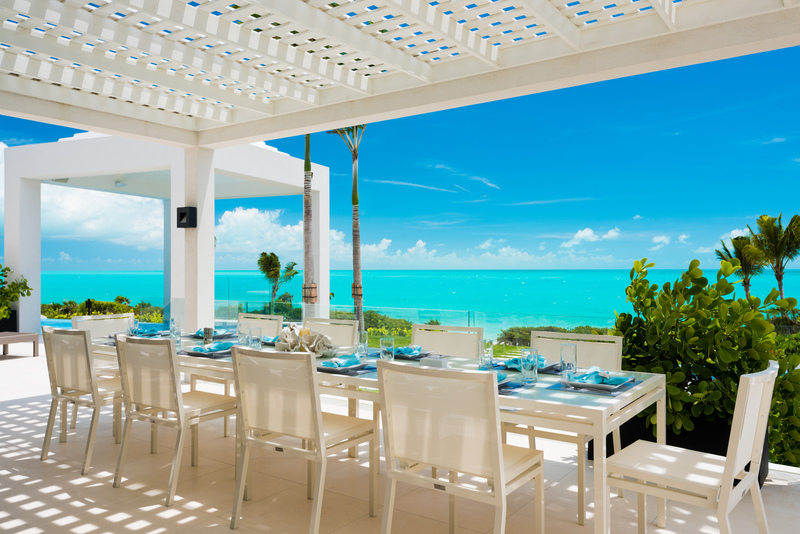 Triton luxury villa is one of few high end rental villas in the Turks & Caicos that is designed, equipped and capable of being your venue of choice for your wedding, wedding reception, birthday party or corporate event. 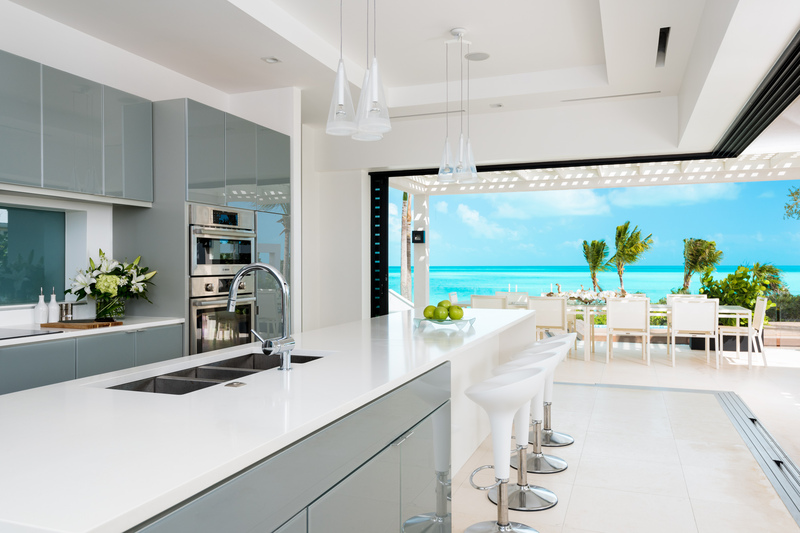 With clean lines and open spaces, Triton is the perfect luxury villa venue in Turks and Caicos. 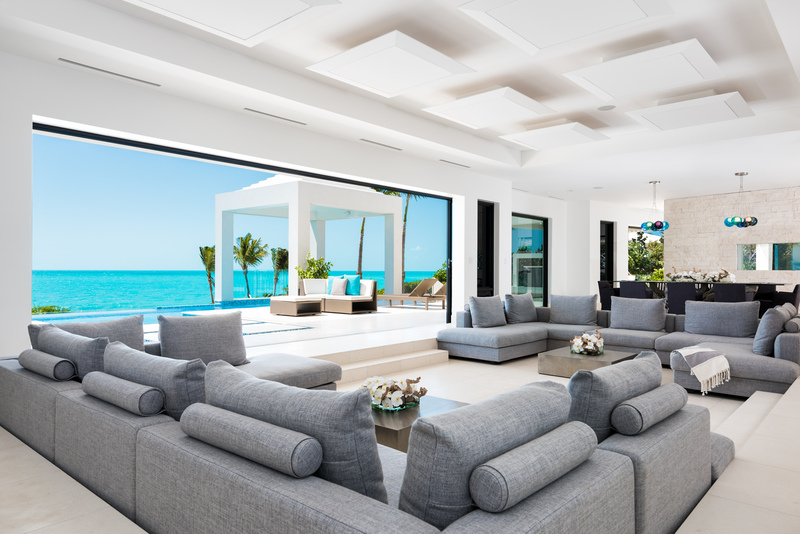 Triton boasts a large beach, 2 beachfront decks, huge pool decks around both pools, sunset garden’s area, connecting private Tennis and Bacce Ball courts and sliding glass doors in the villa seamlessly connecting you to all of the above to assure plenty of room and space for your upcoming event.